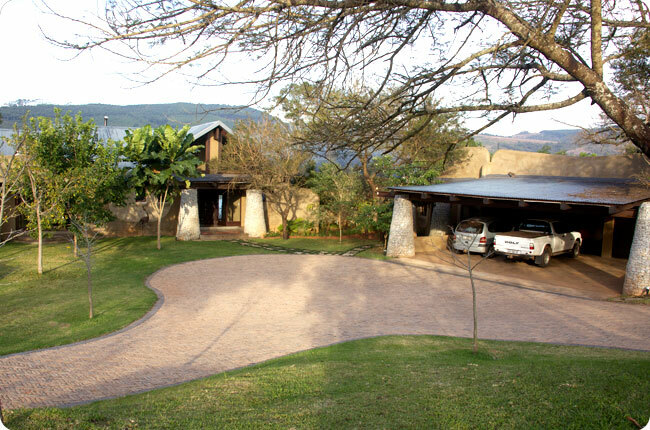 Tinkers Lakeside Lodge is on a secure estate with a surrounding electrified fence. 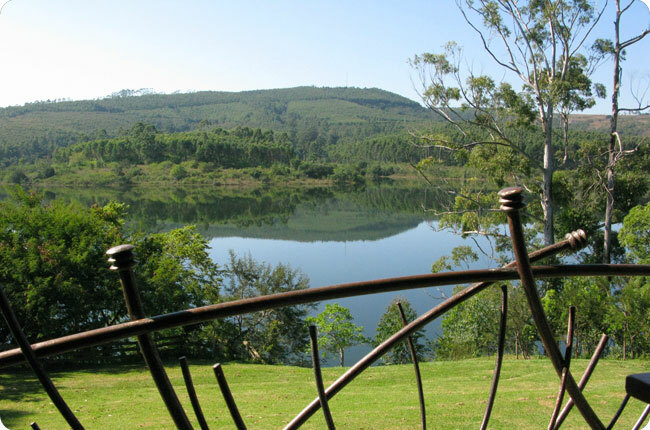 It is on one of 19 hectare plots and is the only estate with water rights, allowing one to irrigate the garden using water from the dam. One is also allowed to moor ones boat on ones property and allowed the use of an electric boat motor. A paved driveway with a convenient circular design winds up to the house where vehicles are accommodated either under a triple carport or an extra-large triple garage. Tinkers Lakeside Lodge is environmently friendly with solar systems providing hot water throughout summer and most of the winter. It is designed in such a way that it is cool in summer and warm in winter. There is also a gas stove. Very little electricity is used thus reducing its carbon footprint. 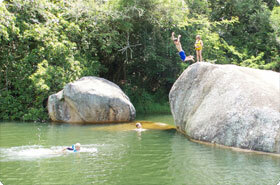 Tinkers Lakeside Lodge is nestled in a fully irrigated, 1hectare garden amongst over 100 trees. 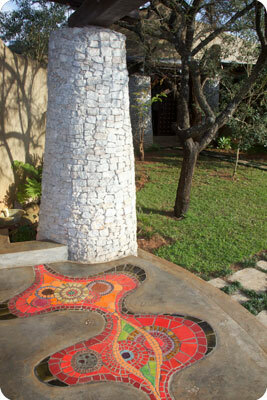 It is lit up at night with garden lights for added ambience. 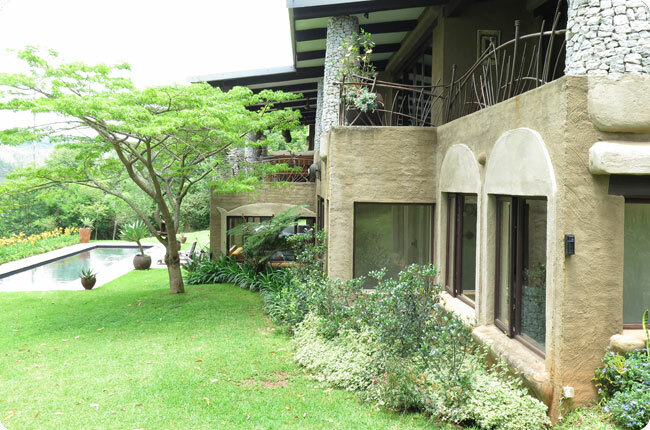 Thick vegetation separates it from neighbours, ensuring complete privacy. 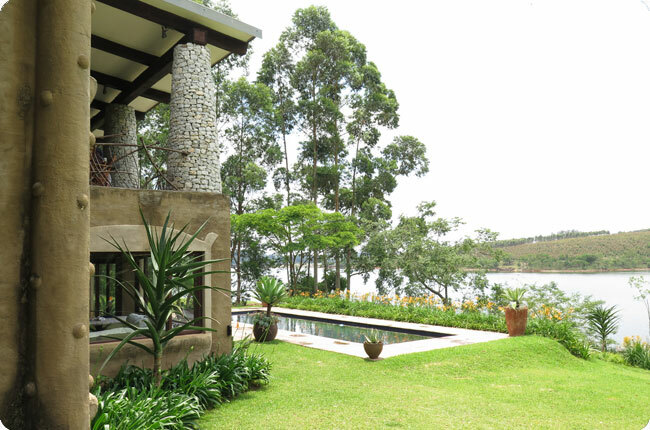 The plots position is superb from a privacy and a security point of view, as it juts out into the dam. 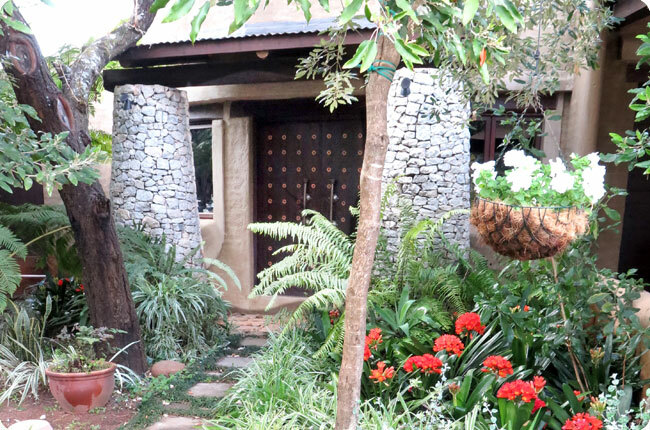 There is a vegetable garden with freshly grown lettuce, herbs and other seasonal vegetables which are available for guests to use for their slads (depending on season and growing periods). 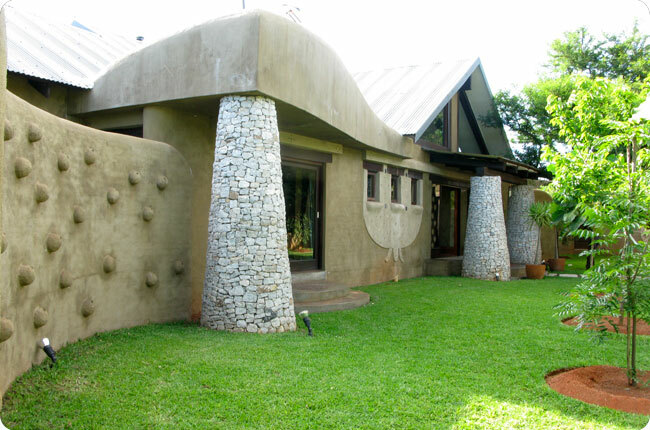 Curved walls lead the eye from one beautiful space to another and all corners have been aesthetically rounded. 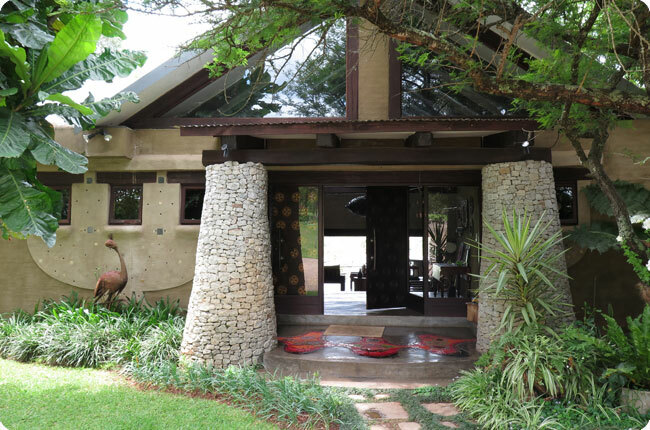 Stone columns and walls inside and out and chunky wooden beams on the ceilings add a natural richness. 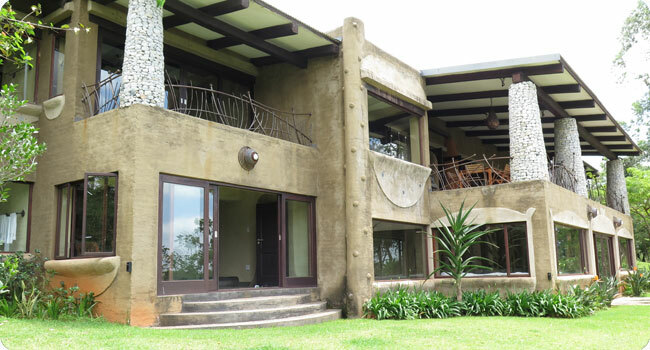 All light fittings, railings and the staircase were created by a renowned Johannesburg metal sculptor. This property is a truly unique feast for the soul. 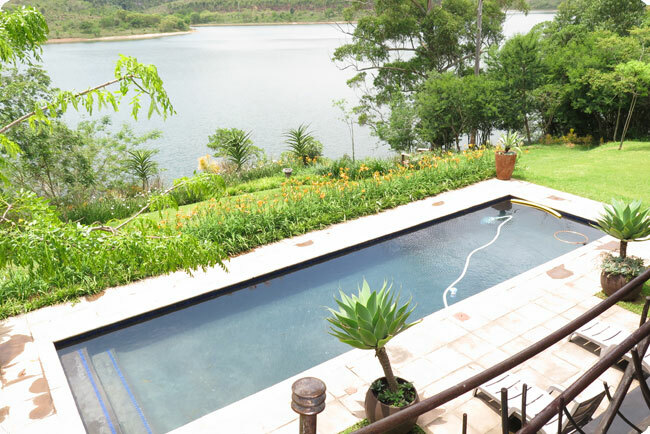 A well positioned swimming pool stretches in front of the entertainment room with a beautiful view of the dam. 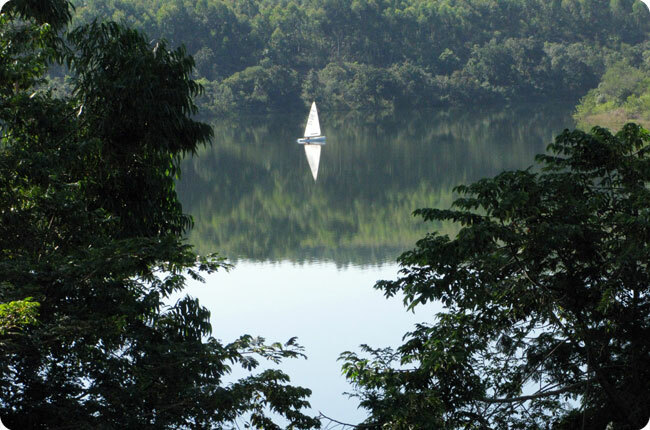 Dagama Dam is as enchanting as it is mysterious. 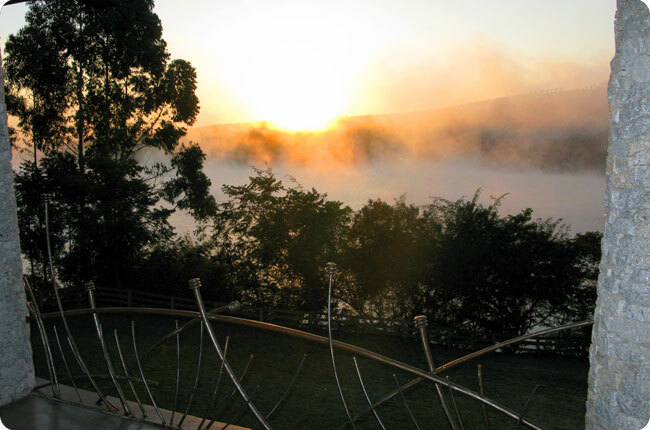 Sometimes it is shrouded in mist and resembles a Scottish landscape – other times it is saturated by a warm orange sunset. Sometimes it gets tumultuous and the Lowveld storms drive one inside to the warmth and security of the log fire and others it as so quiet, cool and serene penetrated only by the vivid reflections and sounds of the birds. The occasional canoe, yacht or windsurfer meanders past the house.